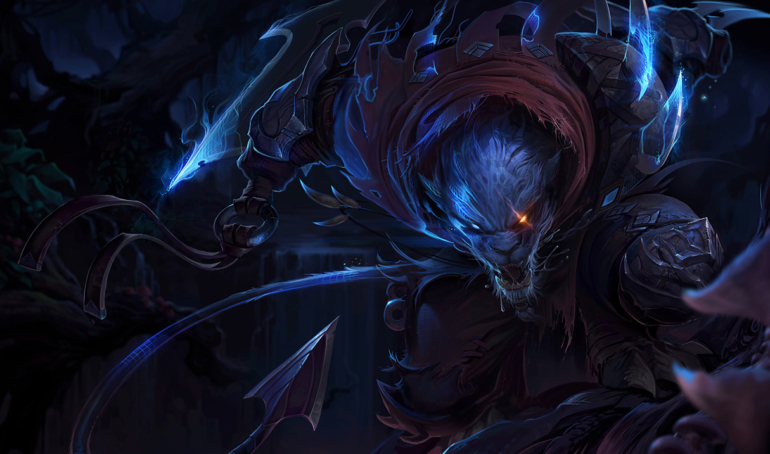 Following Rengar’s third major rework last week (his fifth if you count his various Bonetooth Necklace redesigns), Riot is planning even more big changes for next week’s Patch 8.5. The goal is to fix some of the issues with his new kit, because that’s just Rengar’s life now. The knifecat is perhaps League of Legends’ most depressing champion, tied maybe with Ryze. We just need to admit it by now. He lives in an everlasting state of balance and kit changes, and he’s doomed to never have a healthy set of abilities as long as he’s playable on Summoner’s Rift. The bright news, at least, is that although his change-list in 8.5 is still too large to be considered your standard balance change, it doesn’t completely replace any of his abilities (this time). There are just a lot of tweaks coming his way, which is much easier to stomach than another new Q. We hate that we even have to say that. Poor kitty. His passive, Unseen Predator, is the first victim. His Ferocity will now fall off after eight seconds of not spending it, up from six seconds. Next, the AD scaling on his Q is being changed to scale up depending on the ability’s rank. It will start out at 100 percent of his total AD and will cap out at 120 percent, rather than a flat 110 percent at all ranks. The base damage of the ability is also being buffed at each rank, and the empowered version’s AD scaling is being hiked up to 140 percent of his total AD from 130 percent. The true vision granted by his ultimate will now linger for half a second after the ability ends—a new mechanic to the current ability. His Q can now be cancelled mid-animation, which is also a new mechanic, and he can now queue up his Q and W while throwing his bola so they trigger as soon as the animation ends. For the complete details of next week’s patch, be sure to check out our comprehensive list of changes that are coming, pulled straight from the PBE.